As our Trek America was the first time spending 2 weeks together continuously without work or normal life getting in the way, you might think that we would need a bit of space – and we did and a lot of it too! 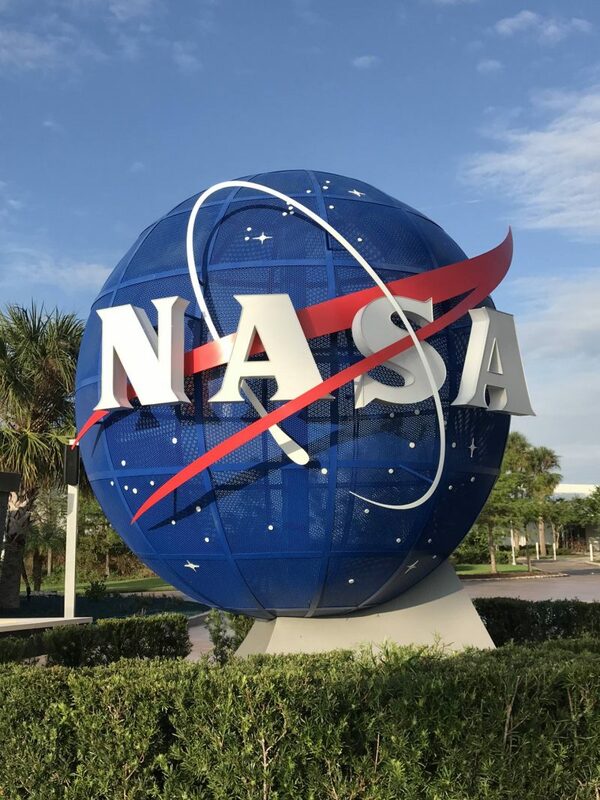 We spent the most amazing day at the Kennedy Space Center Visitor Complex at Cape Canaveral in Orlando. I’m going to apologise now as I’m going to throw in as many space puns as I possibly can to this post. In fact, I’m not even remotely sorry, I’m loving thinking of them! We were so excited about our trip that we really wanted to make sure we used every minute there as best as we could. 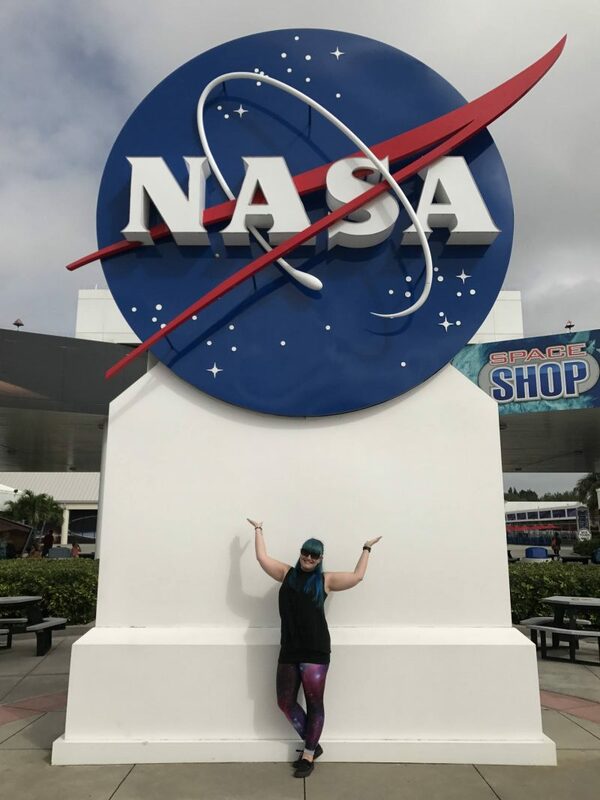 As we left the hotel fairly early to make the drive out to Cape Canaveral we had to skip breakfast so our first stop was to fuel ourselves up and plan the day. The idea being we ate big at the start meaning we didn’t need to refuel again later at launch lunch time. But, we were stopped en route by an Astronaut and obviously had to join the queue of children to get a photo! Mike was literally blown away by the experience, he actually said he could go home happy already! With my fuel tank running on empty I was adamant that we needed to stay, have some food and maybe see what else there was on offer! We made our food stop at the Orbit Stop where we went for salads, yes, we ordered salads in America. ‘Do you want a vegetarian salad? No, thanks, I’m a meteor!’ They were huge portions, and we picked everything that went into them and then watched them be tossed in Ranch Dressing. I seriously can’t get enough of the stuff! Whilst chowing down we headed onto the Kennedy Space Center Visitor Complex website to use their itinerary planner to plan our day. After answering a few questions based on who we are and what our main interests are we were given this. As we didn’t have eight hours left in the park we decided to prioritise what we wanted to see the most. This meant the first stop for us was the Launch Control Center Tour where we got to see the Apollo/Saturn V in person! They recommend two hours for this section and we did spend about that amount of time exploring. There’s a bus your that take you round the Launch Pads, the Vehicle Assembly Building and we even got to see parts of the preparations for the Journey to Mars in 2018! Launch pads 39A & B were the site for most Apollo and all of the Space Shuttle Program launches. 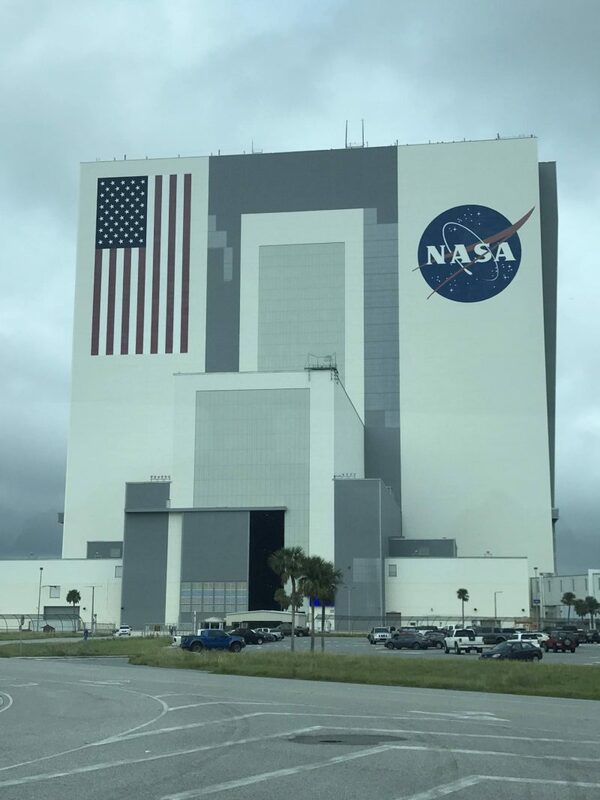 For me, the highlight of the bus tour was the Vehicle Assembly Building which is one of the largest buildings in the world by volume and the largest single-story building in the world! The American flag on the front is 21 floors long and each star is 6ft wide! I was literally mind blown by the sheers vastness of it! Once you hop off the bus you enter the real Launch Room from Apollo and experience what it feels like to be in there for a take-off from the Firing Room as the first crewed Saturn V mission blasts into space. I felt stupidly nervous for the astronauts even though it wasn’t real! 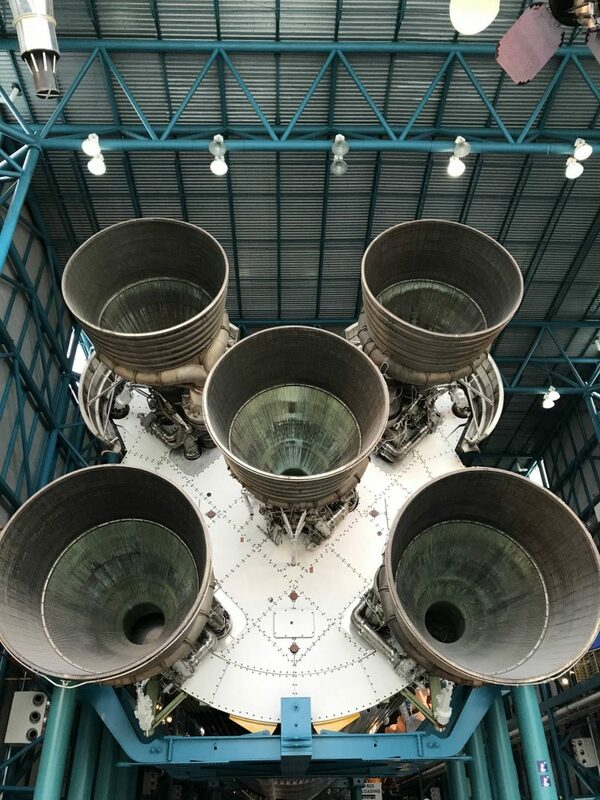 From here you can then explore under the Apollo/Saturn V and learn all about it. We then hopped on a bus back over to the main site. Next up for us was the Space Shuttle Atlantis with the Shuttle Launch Experience. This was incredible; it just felt so surreal being so close to something that had been into space and returned! 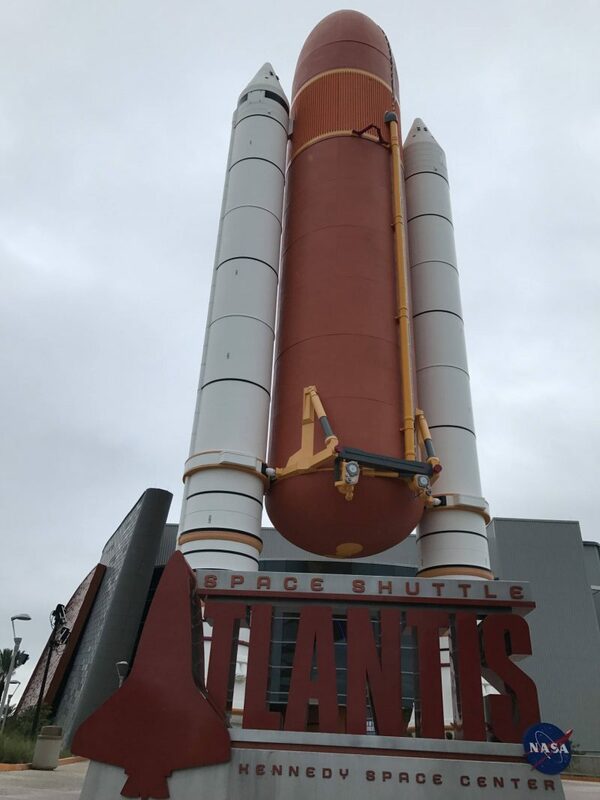 Once you’ve managed to peel your eyes away from Atlantis, you can explore shuttle missions that secured the future of Hubble Space Telescope and the International Space Station, get hands-on with training simulators and then be blasted into space on the Shuttle Launch Experience. There’s also a touching exhibit where you can pay tribute to those who lost their lives during space shuttle missions STS-51L Challenger and STS-107 Columbia. We also took around two hours to take all of this in. 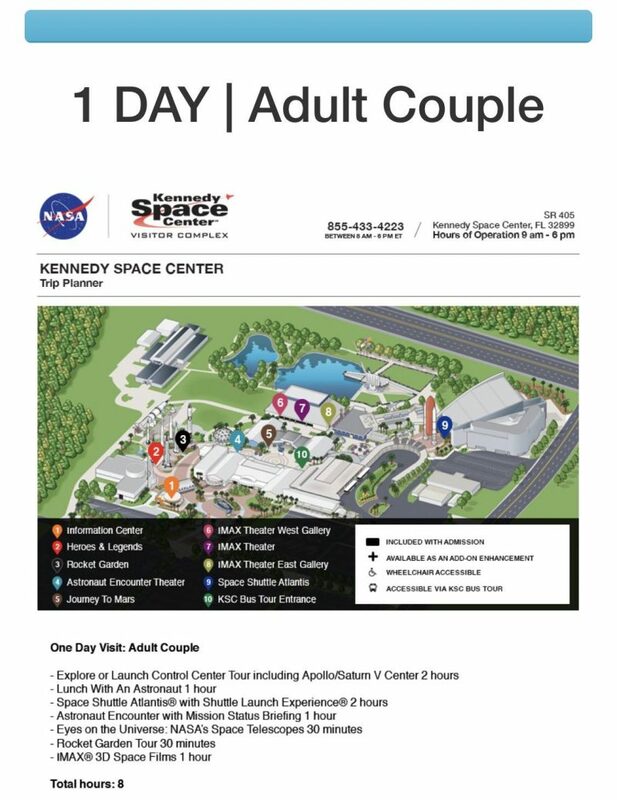 After a few photo opportunities that were too good to miss out on, we quickly checked our schedule and wondered what last bits of space knowledge could be crammed into our last hour at the Kennedy Space Centre! After a few minutes of panic as there was so much more we wanted to do, we opted to go and watch a film in the IMAX. We watched A Beautiful Planet, the newest IMAX 3D documentary film which features footage of Earth from the International Space Station and I highly recommend; it’s breathtaking! Can we just take this moment to applaud me for facing my ridiculous fear of 3D and actually keeping on the glasses for most of the film! 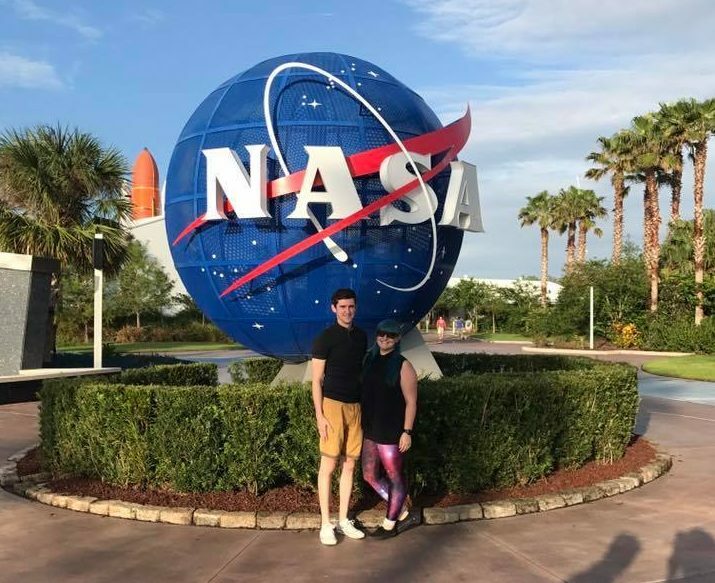 We then had a few minutes to pose with the NASA sign outside, cuz I mean, did you even visit if you don’t get this shot?! And jump into our ride back to our hotel. Part of me felt a little heartbroken to be leaving so soon. I really do think that 1 day isn’t quite enough if you’re a space nerd like the two of us and haven’t been before like Mike hadn’t. 1. Book your tickets in advance so you don’t waste valuable time queuing on arrival. 2. Plan your day using the itinerary planner available on the website. 3. Have two days there if your holiday allows it as there is so much to do there. Additional extra: Make as many space puns/jokes as you can at every given chance! 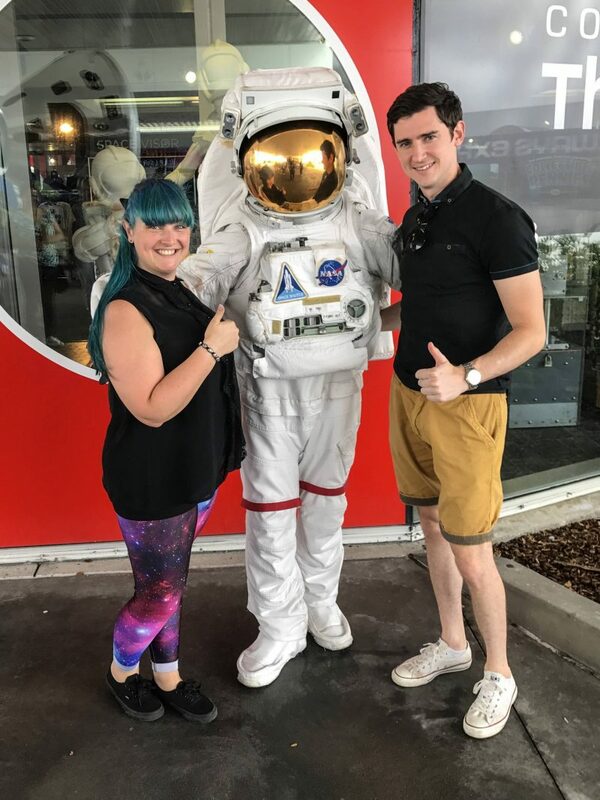 Thank you for having us, Kennedy Space Center Visitor Complex, our day was quite literally out of this world! 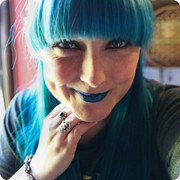 "Vegan Burgers at Mooshies, London *"
"Receiving a Donut Bouquet! *"
All the times I’ve been to Florida I’ve never been but I really want to go whenever we are next there in 2019. My brother in law has been loads and loves it! This sounds so cool, though. I’m really jealous, sounds like an amazing day and I really want to go!